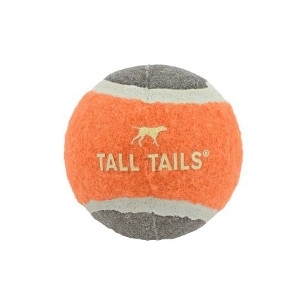 The Tall Tails Sport Ball is a high-quality fetch toy, perfect for your energetic pet. This classic ball is interactive and entertaining to use because it is easy to throw, and it bounces for an extra measure of fun. Use this product to train and boost self-esteem in your pet. This ball is a great way for anyone in the family to bond with your dog.